It was a race against time to reach Udaipur before sunset. Driving through the narrow lanes of Badoh, we reached the village road that connects to Udaipur which was about 12 km from here. We reached the temple of Udayesvara just as the sun went down and the care of the taker of the temple closed the gates. Hurriedly, I dropped my wife at the gate and went in search of a parking place. While she requested them to open the temple gate, the care taker advised her to stay outside the temple till I arrived for safety purposes. 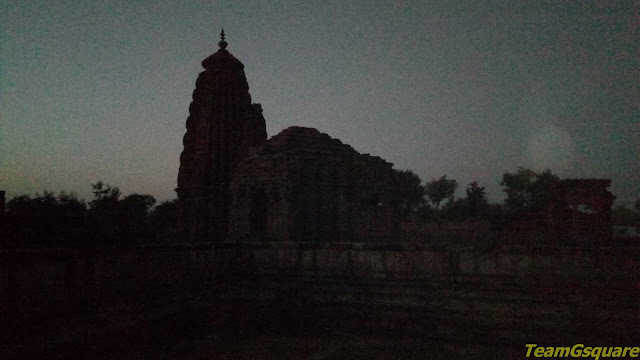 He informed us that we had reached late and it was time to close the temple as it had started to get dark. However, he agreed to give us about five minutes to see the temple as we had come from so far. Without wasting any time, we had a glance at the temple and clicked a few photographs, though there was not enough lighting. The Udayesvara temple is one of the most beautiful temples in Madhya Pradesh and a true representation of the Paramara architecture. The sculptural splendour of Udayesvara temple is comparable with that of Khajuraho temples. 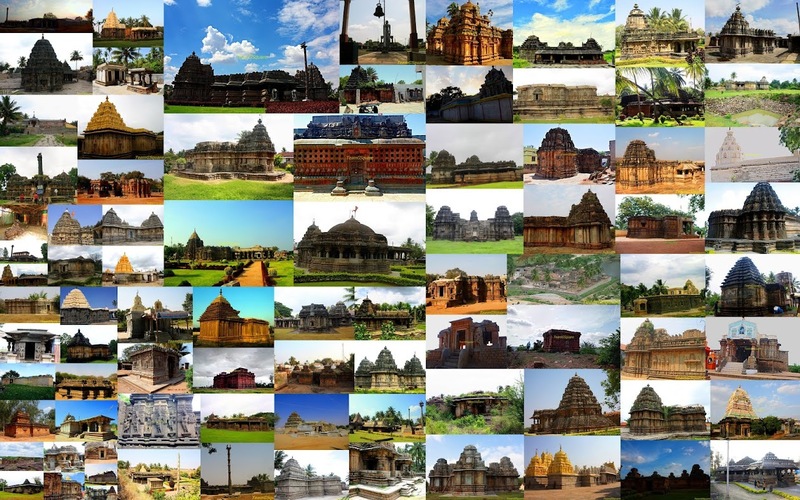 This temple was built in 1080 AD by king Udaydita of the Paramara dynasty. There is a small Nandi mantapa in front the main temple. The ASI has maintained this temple quite well. Given a chance, we would surely love to revisit Udaipur just to the enjoy the sheer grandeur of this temple. Distance from nearby major town: 70 km from Vidisha via Ganj Basoda. Accommodation: There are no lodges in Udaipur, however, the closest and a better choice would be Gateway Retreat at Sanchi maintained by MPSTDC. There are a few small lodges in Ganj Basoda. Do we have Udaipur in MP as well ? Interesting. Didn't know about Udaipur of MP! The architecture of the temple reminded me of Jagannath temple in Hyderabad and Bangalore !